Hydro Boost® Micellar Water is an innovative no rinse cleanser that works to remove impurities and make-up to leave skin refreshingly clean and with a boost of vital hydration every time you cleanse. The combination of Neutrogena® cleansing technology, hydrating agent and Hyaluronic acid which is naturally found in skin, enable the formula to boost hydration. The skin is refreshingly clean and touchably soft every time you cleanse. Apply with a cotton pad over face and eyes. No need to rinse. [PR-017004], Aqua, Glycerin, Glycereth-26, Sodium Hyaluronate, Panthenol, Olea Europaea Leaf Extract, Magnesium Aspartate, Zinc Gluconate, Copper Gluconate, Polysorbate 20, Citric Acid, Sodium Benzoate, Phenoxyethanol, Parfum. Very little of my not-waterproof mascara and eyeliner came off on the towel. Not as good as other micellar waters I've bought. Expected it to be a great product as it's part of the Hydro Boost line. Don't waster your money on this!! 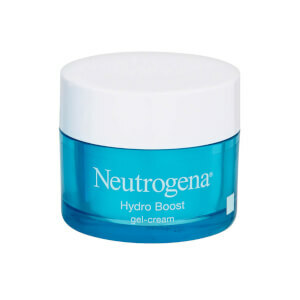 I'm a neutrogena devotee since the hydroboost formula arrived because I have very dry skin and the water gel moisturiser ,eye gel and serum , I love . 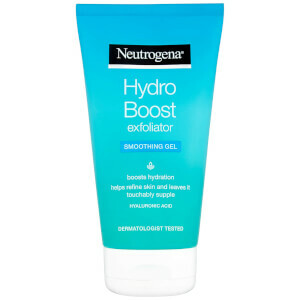 The moisturiser water gel is actually a HG for quick moisture that's comforting . Unfortunately there seems to be an ingredient in the micellar water which literally burns my face so much I can't use anything after it at all. I tried to use it this evening, second or third use as I thought I just needed to get used to it...but as soon as I moved to the next step which was a detox mask for hormonal spots , the burning went crazy!! It's definitely something in the water. Please have a look at the ingredients Neutrogena because this is not like your usual standard at all.. back to Loreal again for me. So I bought this micellar water today and I am happy with it. It removes makeup really good and what I love about this product is that is so gentle on my skin and most important, it doesn't leave any ''filter'' on the skin. I have been using this product for 3 days now. 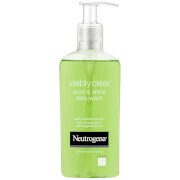 I must say it is not hydrating my skin at all..If anything it is making my skin dry..I think I will be reverting back to Garnier Micellar Water..The only reason I decided to try this Neutrogena product was due to the fact that it is supposed to hydrate the skin. Unfortunately it didn't happen for me. I was expecting a lot more from this especially as it's more expensive than other micellar waters that I have used before. It doesn't remove make up as well as others I have used and it left me with a burning red face. I'm so disappointed as I don't think I will be able to use it again. I have used two other micellar cleansers and found both very effective at removing make-up. The Neutrogena product is noticeably different in that very little make-up comes off on the cotton wool pad. I noticed this the first time I used it, and the next evening I tested it out by using Neutrogena on one side of my face and Avene on the other. The Neutrogena product was much less effective than the Avene one - to be honest, I think I'd have got better results with plain old water. A real disappointment. Micellar water. This product is ok. It is not as hydrating as the Nivea equivalent and four times the price which means that I will continue to purchase Nivea. Not a bad product overall. 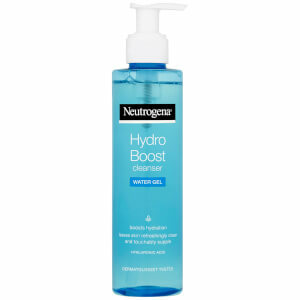 I read a lot of good reviews about this Hydro Boost Micellar Water, so I decided to try it out as well. In the evening I cleaned my make-up with this water. I was very surprised that after few minutes my skin became very red and all my face started to "burn". I read in instructions, that I don't need to wash my face after applying it but I couldn't handle the burning pain so I washed my skin and put the calming mask on my face. I didn't expect this result as this Micellar water is suitable even for sensitive skin. Can't get it what is the problem and why my skin gets irritated when I used it. Is it normal to feel kinda "burning" feeling on face? However, it's just my personal experience and it doesn't mean that this Micellar Wather won't be suitable for others.